A Wide Variety of Ford Engines, and New Holland Engines power tractors, combines, excavators, power units, and harvesters. 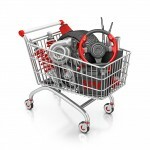 The Online Catalog contains parts for this list of ford engines, and New Holland Engines. To search for engine parts, its betters to locate the machine type, and then search for the engine for that machine type. 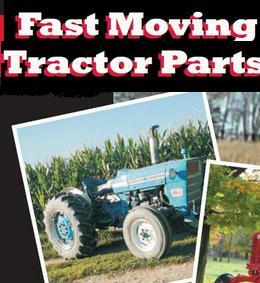 Online Catalog has Ford Tractor parts descriptions, New Holland parts, pictures, and prices. Ford New Holland Combines are some of the most revered combines in the farming industry. This list is a complete list of Ford New Holland Combine Models. New aftermarket parts for all of these models are available for sale. Online Catalog has Ford Combine parts descriptions, New Holland Combine parts, pictures, and prices. This page details a complete list of Ford New Holland Construction and Industrial Equipment. New aftermarket parts for all of these models are available for sale. 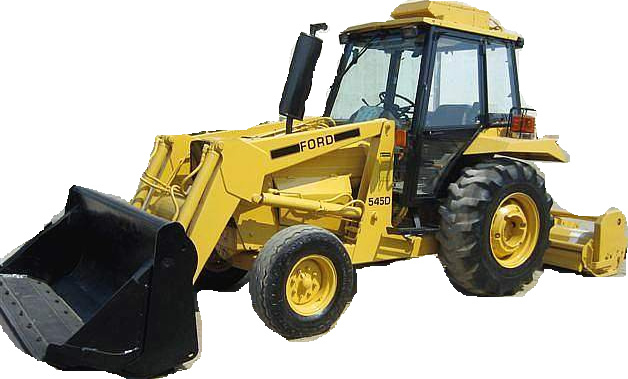 Online Catalog has Ford construction equipment parts descriptions, New Holland construction equipment parts, pictures, and prices. 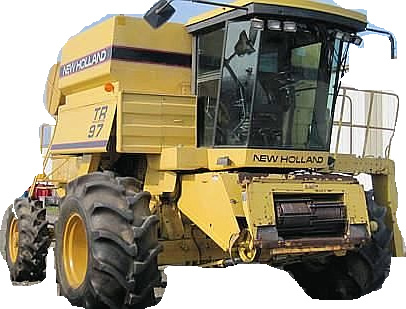 Online Catalog has New Holland Parts descriptions, pictures, and prices. Cooling Systems. Radiator caps can be selected based upon its lb rating. Most are 7 lbs. There are three different water pumps. Check your pump for specifications. Different aftermarket radiators are selected based upon model, and year of manufacture. Cab Parts. Glass doors, wiper blades and door handles are aftermarket. Clutch Parts. New Holland Tractor clutch parts will include disc assemblies, flywheel bearings, and clutch kits. Several pressure plates are available, with different diameters and specifications. Year of manufacture will be a determining factor in selecting the correct pressure plate. Transmission discs are similar in factors influencing selection. Engine Overhaul Kits and Engine Parts. The engine for this tractor is the very reliable Perkins 3.152 Each kit contains liners, pistons, piston rings, piston pins, piston pin retainers, main bearings, con rod bearings, con rod bushings, camshaft bushings, complete gasket set, and rear and front crankshaft seals. Other New Holland Tractor parts includes camshafts, crankshafts, engine balance parts, gaskets, oil pumps, flywheels, ring gears, fuel pumps, gauges, injectors, air cleaner parts, and valve train kits. Front Axle and Steering Parts. New Holland Tractor parts for the front axle and steering of the tractor, includes ball bearings, spindles, bushings, cylinder repair kits, drag link ends, hub caps and front wheel hubs, tie rod ends, and wheel bearing kits. Pumps and hydraulic parts are drive gears, hydraulic adapters, hydraulic pumps, steering pump repair kits and selector valves. Complete front rims, nuts and bolts are sold aftermarket. Hitch and Drawbar Parts. Center tubes, drawbars, knuckle assemblies, leveling boxes, pins, stabilizer chain sets, and replacement valves are supplied in aftermarket for New Holland tractors. Filters. A complete line of fuel, oil, hydraulic, and power steering aftermarket filters are for sale. Ignition and Electrical Parts. 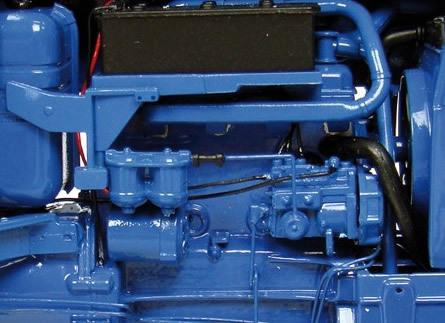 New Holland Tractor parts for the electrical section includes Lucas alternators, battery cables, distributor caps, coils, condensers, spark plugs, starters and starter drives, and ignition switches with cold start. Mufflers and exhaust will be chosen based upon the year of manufacture, as there are many variations of mufflers and exhaust pipes. New Holland tractor with cabs will use different parts as compared to New Holland Tractors without cabs. PTO aftermarket New Holland tractor Parts can be selected from PTO drive gears, hubs, seals, PTO shafts, and snap rings. New Holland Tractor Seats comes complete in the original blue New Holland color. However, steel seat components and cushions are separately sold. Transmission and Rear Axle Parts. Transmission and rear axle are the source of New Holland tractor strength and durability. Service parts are available for all sections of this powertrain including brake discs, plates, clutch plates, planetary carriers, hubs, pinions, stub shafts, ring gears, forks, gears, couplers, reverse gears, main shafts, output shafts and transmission countershafts. The New Holland Super Dexta Tractor has either a 8th Speed transmission, or 7 Speed transmissions. Knowing what type of transmission is on your tractor is an integral part of correct aftermarket New Holland tractor parts selection. Service Manual. The New Holland Tractor shop manual provides operation and service information.